1. Increase the dry weight: one cause for intradialytic hypotension is simply over-ultrafiltration--if a patient is gaining weight but has his dry weight kept constant, this will result in hypotension. 2. Sodium modeling: during the dialysis procedure, solute is removed from the vascular compartment, leading to decreased plasma omolarity relative to the intracellular compartment. This leads to fluid movement into the intracellular compartment in order to maintain osmotic equilibrium, thereby causing a decrease in the systemic blood pressure. The fall in osmolarity is further enhanced by the use of a low sodium (typically 130) dialysate solution. In order to prevent hypotension, the technique of sodium modeling (starting with a higher dialysate sodium and then progressively decreasing the value) may be employed such that much of the ultrafiltration occurs prior to the osmolarity falling to its nadir. 3. Lowering dialysate temperature: decreasing the dialysate temperature from 37 C to 36 C (or even 35C) induces some degree of vasoconstriction which raises BP. 4. Sequential ultrafiltration: this refers to the practice of performing ultrafiltration initially, followed by dialysis. 5. Use of midodrine: this is an alpha-1-agonist which acts as a vasoconstricter. Many dialysis patients take it prophylactically, either before or during dialysis, to prevent intradialytic hypotension. 6. Use of albumin: may be useful in patients who are albumin deficient, though this controversial (and expensive). 7. Use of the "crit-line" monitor: some dialysis machines come equipped with a built-in, real-time "hematocrit monitor" that determines the rate of fluid removal--a rapid decline in the "crit-line" may be an early sign of volume depletion, and one can back-off on the level of ultrafiltration when this is seen, hopefully prior to the onset of actual hypotension. 8. Holding blood pressure medications until after dialysis: some dialysis patients who are sensitive to fluid shifts but still are hypertensive on non-dialysis days should hold their BP meds until after dialysis has finished. 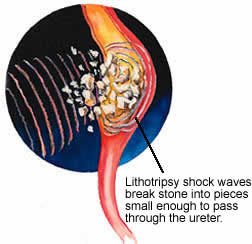 Extracorporeal shock wave lithotripsy (ESWL), invented during the 1980s in Germany, uses concentrated pulses of sound waves to break up kidney stones too large to pass on their own into smaller pieces, which will then have a chance to be eliminated in the urine. While this therapy has been an extremely useful and much less invasive tool for urologists to use in the treatment of kidney stones, there are nonetheless some side effects which nephrologists should be aware of. For instance, the trauma-induced by ESWL sound waves upon thin-walled vessels in the kidney can lead to microscopic hemorrhage, which later results in an influx of inflammatory cells and can potentially result in significant renal scar tissue if the exposure is great enough. 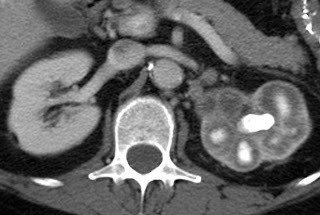 This would be most likely to occur in patients who have multiple rounds of ESWL for recurrent stones. Interestingly, there is an emerging literature demonstrating that ESWL is associated with increased (though mild) diastolic hypertension, suggesting that this renal damage could be significant, and biomarkers of renal damage have been demonstrated to be elevated immediately post-ESWL. In addition to these complications, there are others. "Steinstrasse" is a German term (translated as "stone street") describing the post-ESWL accumulation of multiple small stone fragments, which may plug up the ureter and result in obstruction. Hematuria, either gross or microscopic, is relatively common for a few days following the procedure. Finally, bacterial sepsis and its resultant complications (due to translocation of bacteria in the bladder into the bloodstream during ESWL-induced damage to these tissues) can also result. 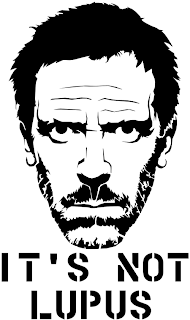 Have you ever given THAM (tromethamine)? For whatever reason I was completely unfamiliar with the drug as a resident, but it is given not infrequently in the surgical ICU's in the hospitals in which I've worked as a renal fellow. THAM can be considered as an "alternative buffering agent"--that is, it is sometimes used in place of sodium bicarbonate in critically ill patients with significant metabolic acidosis. 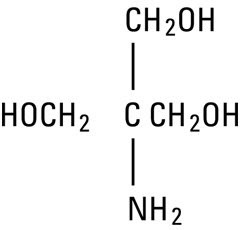 It is a biologically inert amino-alcohol (see structure above) which acts as a proton acceptor. Its purported advantage with respect to bicarbonate is that it allegedly decreases PaCO2 (as opposed to bicarbonate, which will cause an increased PaCO2), thus providing a way to treat ICU patients with acidosis who are difficult to adequately ventilate. However, it is eliminated primarily by the kidney and is associated with hyperkalemia, and many of the patients in whom its use might be beneficial (status-post cardiac bypass surgery, post-cardiac arrest) are likely to have renal impairment, making its safety profile questionable. It is also known to cause hypoglycemia. I don't have a lot of experience using this drug, but THAM dosing can be estimated as follows, according to this NEJM article: THAM (in milliliters of 0.3M solution) = lean body weight (in kilograms) x the base deficit (in millimoles per liter). The maximal daily dose is 15 mmol/kg for an adult (3.5 liters of a 0.3M solution in a patient weighing 70kg). The Journal C-JASN has begun a new monthly feature: "The Nephrology Hall Of Fame", in which each month an outstanding contributor to the field of Nephrology will be honored by an article describing their major contributions. The first-ever member of the Renal Hall Of Fame is a man many view as the "Father of Nephrology": John Merrill. 1. "Father of Dialysis"--although Kolff is credited for building the first usable dialysis machine, an improved and more practical device built at Peter Bent Brigham Hospital ("the Kolff-Brigham Kidney") was necessary for dialysis to be routinely used in the treatment of renal failure. John Merrill was the leader of the clinical team which determined how to use dialysis effectively and served as a major advocate for the use of dialysis at a time when the procedure was considered controversial and even harmful. 2. 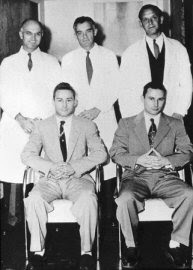 "Father of Kidney Transplantation"--the first successful kidney transplant occurred between identical twins (the Herrick brothers--pictured above--Merrill is in the middle of the back row) at Peter Bent Brigham Hospital, and John Merrill was the head of the nephrology team which allowed this to happen. Merrill was convinced that previous failures of kidney transplant were not due to surgical complications or any problem inherent to the exchange of organs between individuals, but rather due to immunologic incompatibilities. The success of this transplant between genetically-identical individuals proved that this was true, and Merrill's later studies with irradiation of the immune system provided the basis for expanding the world of kidney transplant beyond that of the rare case of identical twins. In addition, Merrill's contributions also included an increased awareness that the treatment of hypertension is important (not a trivial feat, as hypertension was for many years considered by many to be an appropriate "compensatory response" to cardiovascular or renal disease) and the furthering of nephrology as a defined academic subspecialty. Amazingly, he also served as the in-flight medical officer for the Enola Gay (the airplane which dropped the atomic bomb on Japan during WWII) prior to his studies at the Brigham Hospital. 1. Disordered Mineral Metabolism--there has been an increased awareness that calcium-phosphate deposition within the walls of blood vessels could play a role in cardiovascular mortality. 2. Existence of a pro-inflammatory state--there is good epidemiologic evidence linking hsCRP to mortality in the general population, which appears to also hold true in a dialysis population as well. 3. 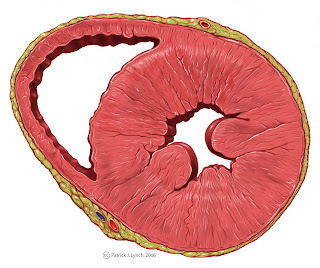 Anemia--it is postulated that anemia drive left ventricular hypertrophy, which is correlated with a worsened cardiovascular mortality. 4. Dyslipidemia--this is controversial, as LDL levels are often normal in dialysis patients, and treatment of LDL levels with a statin in ESRD patients does not seem to have the same beneficial effect as in the general population. Perhaps a different altered lipid profile--for example, low HDL and high triglycerides--are responsible for some of the increased cardiovascular disease in ESRD patients. 5. Endothelial dysfunction--there is some evidence that the endothelium of ESRD patients is less able to synthesize nitric oxide (NO), an inhibitor of vascular smooth muscle cell proliferation and important regulator of blood flow based via its actions as a vasodilator. 6. Other biomarkers under investigation--lipoprotein A, hyperhomocysteinemia, and whatever the biomarker-du-jour happens to be--are being investigated into their link between ESRD and cardiovascular mortality. The difficulty in ascribing any of these risk factors as the predominant cause of the elevated mortality rate seen in ESRD patients is that they are all pretty common in this population. What dialysis patient doesn't have an elevated hsCRP or anemia at some point? My guess is, this is a complex problem which is not likely to yield a single answer. Can dialysis prevent nephrogenic systemic fibrosis? There has been a lot of literature over the past few years regarding the identification of gadolinium-based contrast dye as the driving force behind the dermatologic fibrosing condition nephrogenic systemic fibrosis (NSF). While there remain doubters that gadolinium has definitively been shown to be the cause of this disease--an admittedly difficult claim in that the condition is overall pretty rare and the key epidemiologic studies use case numbers that are small--this theory has by and large been accepted by most nephrology departments. At our institution, the official policy is to NOT give gadolinium to any patient with ESRD or advanced (Stage 4 or greater) CKD. Despite this policy, one could envision circumstance in which an individual with advanced renal failure is administered gadolinium dye--either if there is an oversight (e.g., the creatinine is not checked before doing the MRI) or if the benefit of doing a particular gadolinium-enhanced contrast study is so great that it outweighs the risk of NSF--which appears to be a pretty low risk in any case. The question arises in these instances: should dialysis be performed to "dialyze off" the gadolinium and therefore minimize the risk of NSF? On the surface, the answer might seem to be yes: studies have shown that 68% of gadolinium is eliminated after a 3-hour dialysis session and approximately 98% could be removed after three consecutive dialysis sessions. However, most of the available evidence would say that dialysis is *not* effective in preventing gado-induced contrast injury. Several ESRD patients with NSF have been identified in which daily dialysis was initiated within 9-21 hours of being given gadolinium, proving that this strategy is not likely to be uniformly effective for prevention. It is postulated by some that the Gd3+ ion dissociated from the parent dye compound then deposits in tissue within a dialysis-inaccessible compartment--if this process occurs quickly, then one might guess that only dialysis initiated immediately (e.g., within a few hours) after dye exposure would be beneficial. One could argue that much of the acceptance by nephrologists of the gadolinium-NSF link is out of a medicolegal necessity, due to the many lawfirms taking cases of dialysis patients administered gado-containing contrast. I would imagine that for the most part these current lawsuits are being directed at the manufacturers of contrast dye, though it's a good bet that such lawsuits could in the future target physicians who "knowingly gave a patient a substance contraindicated in patients with kidney disease." Dent Disease is a rare, X-linked inherited disease of pediatric nephrology. It can be filed under the category of "renal tubular dysfunction" and is also known as "X-linked Recessive Nephrolithiasis." Clinical characteristics of Dent Disease include recurrent renal stones, nephrocalcinosis, hypercalciuria, low molecular weight proteinuria, and a gradual progression to ESRD, usually within childhood. The disease is caused by mutations in the gene CLCN5, a chloride channel present in proximal tubular cells which appears to be necessary for the processing of endosomes. It is not clear why these individuals are so predisposed to nephrolithiasis and hypercalciuria. There is no good therapy for Dent Disease, though a logical case could be made for treating with oral citrate supplementation and thiazide diuretics in an attempt to mitigate hypercalciuria and delay the nephrocalcinosis-induced renal failure as much as possible. As discussed in a recent post describing the success of early goal-directed therapy for sepsis, the test for serum lactate has enjoyed a rise in prominence in recent years. 1. Shock--especially cardiogenic and septic shock, which is indicative of an inability of the circulatory system to match the metabolic demands of tissue. 2. 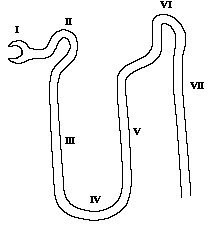 Bowel Ischemia--mesenteric ischemia, necrotic bowel, etc.--the necrosis of cells in the intestine will release free lactate into the bloodstream. 4. Grand-mal Seizures: can lead to a transient increase in serum lactate which typically reverses on its own pretty quickly. 5. Thiamine Deficiency: thiamine is a cofactor for enzymes in the glycolytic pathway; its absence prevents adequate cellular metabolism and lactate can build up. 6. Citrate Toxicity in patients on CVVH given citrate-based replacement solution--this is heralded by an increased total calcium concentration along with a decreased ionized calcium concentration. 7. D-lactic acidosis: this atypical form of lactic acidosis occurs when bacterial overgrowth (as might occur in patients with GI bypass surgery) results in the metabolic synthesis of the D-isoform of lactic acidosis, which is not metabolizable to bicarbonate endogenously as is the naturally-occurring L-isoform of lactate. 8. Severe alkalosis: an increase in lactic acid level is a compensatory response to either severe metabolic or respiratory acidosis. 9. Drugs: a variety of drugs can cause lactic acidosis, usually by virtue of mitochondrial toxicity--for example, nucleoside reverse transcriptase inhibitors (NRTIs) used in HIV patients, Metformin, and nitroprusside as a consequence of production of cyanide, a known mitochondrial toxin. Do Kidney Stem Cells Exist? Hot topic of research: do kidney stem cells kidney exist? Stem cells are defined as a subpopulation of cells which retain the ability of self-renewal and differentiation into a specialized cell type. Stem cells specific to many tissue types have been identified (e.g., hematopoietic stem cells, brain stem cells, etc) and the question arises: are there kidney stem cells? 1. Adjacent, less damaged tubular cells could repopulate the epithelium under the right conditions. 2. Circulating, bone marrow-derived stem cells may exist. 3. "Resident kidney stem cells" refers to the possibility of a subpopulation niche of renal cells that lives in the kidney which could be responsible for tubular regeneration when required. Thus far, the evidence seems to point to (1)--that all renal epithelial tubule cells, if they can survive the injury, have the capacity to repopulate the tubular epithelium. Perhaps understanding this pathway more completely would allow us to generate new pharmacologic therapies to stimulate or hasten the repair response. It is important also to point out that this field is still young, and perhaps there really are "kidney stem cells" that we don't have the technology to detect yet. Resident kidney stem cells do appear to exist in other organisms, such as some fish. I heard a talk on "Sepsis & Renal Failure" today, which reviewed much of the recent evidence-based medicine trials regarding the treatment of sepsis in the ICU. #1: "early goal-directed therapy" by Rivers et. al. published in NEJM 2001. This protocol-driven ER-based study showed that keeping the MAP >65 with fluids and inotropes, the CVP between 8-12, and transfusing blood to achieve an SvO2 >70% & Hct >30% was associated with improved mortality in sepsis patients. This is one of the few studies which hasn't been debunked, so it is still in use. #2: steroid therapy. I was taught to perform a cosyntropin stim test to determine if sepsis patients were "relatively adrenally-insufficient", and if so to give a give low-dose steroids with hydrocortisone 50mg iv q6h and fludrocortisone as well. Most of the time we gave the steroids right off the bat and took them off only if the cosyntropin test came back negative the next day or so. However, a more recent NEJM 2008 study (the CORTICUS trial) shows a pretty convincingly negative result for this practice. #3: Intensive insulin therapy. 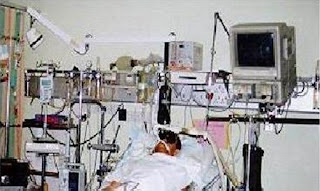 It was also en vogue to be pretty aggressive with insulin drips in the ICU in an attempt to achieve tight glucose control in the setting of sepsis, reasoning that hyperglycemia can have a cell-toxic effect. 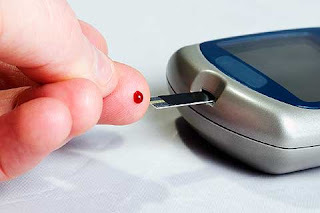 The recent VISEP study was a large trial which (among other things) compared an intensive glucose control strategy to a more conventional one: the intensive glucose control strategy showed no mortality benefit, while showing many more hypoglycemic episodes. #4: Activated Protein C (Xigris). The possibility that derangement of the coagulation cascade plays a role in sepsis led to the development of activated protein C (drotrecogin alfa, or Xigris) for use in sepsis patients. An NEJM study showed a mild beneficial effect (31% versus 25% mortality) in the PROWESS trial, a randomized control trial. Even though the effect was small and the drug was expensive, as residents we were encouraged to give the drug under the rationale that these patients were super-sick and they needed any advantage they could get in order to make it through. However, a more recent trial, ADDRESS, looked at septic patients who were slightly less sick (e.g., lower APACHE thresholds for administering Xigris) and found no mortality benefit and an increased rate of hemorrhage in the Xigris group compared to placebo. 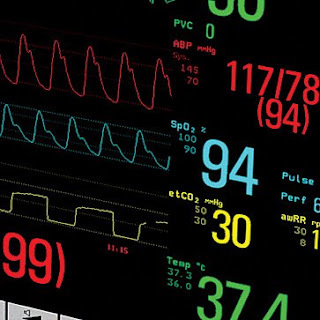 So of these four "breakthroughs" in the treatment of ICU sepsis, the efficacy of three have been seriously called into question through the use of large, seemingly well-designed randomized control trials. It appears that more creative approaches will still be needed to come up with better therapies for this high-mortality (and highly renal-toxic) condition. 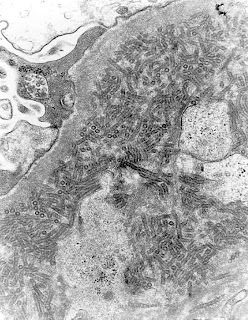 The finding of fibrils on electron microscopy of a renal biopsy specimen may be an extremely important clue in establishing the diagnosis. In fact, for many of the conditions listed below, the diagnosis may be based PURELY on a detailed ultrastructural characterization of the fibril, as in fibrillary or immunotactoid glomerulopathy. The first step in the differential diagnosis of fibrillary glomerulopathies is to divide the condition into an IMMUNOGLOBULIN-MEDIATED versus a NON-IMMUNOGLOBULIN MEDIATED process, which is typically done by immunofluorescent staining against different heavy and light chain classes. -MIDD (monoclonal immunoglobulin deposition disease). (note: the latter two on this list are pretty rare). 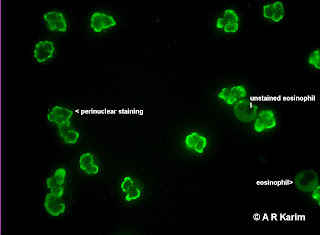 Another crucial distinction here is whether the biopsy specimen stains negative or positive for CONGO RED (indicating the beta-pleating sheet structure of precipitated amyloid protein). RPGN is a nephrologic emergency, and one of the more exciting consult cases for nephrologists to participate in. Much like dealing with a stroke or heart attack, delays in initiating therapy can lead to substantially worsened outcomes. Prompt initiation of therapy can be exceptionally challenging in RPGN, as even patients with advanced renal compromise may feel clinically well (as opposed to a stroke or a heart attack), and convincing them to accept aggressive therapies such as plasma exchange can be tough. Furthermore, for patients who present acutely, we don't always have as much data as we would like to help make a decision. Unfortunately, waiting for renal biopsy results or serologies to come back before making the decision to treat glomerulonephritis can result in costly delays. For this reason, any patient suspected of acute RPGN--defined as having an acutely elevated creatinine along with an active urine sediment--should be treated empirically. Most patients in this situation can be treated solely with a steroid pulse--e.g., Solu-Medrol 0.5-1 gm iv qd x 3 days--while waiting for serologies to come back and scheduling a renal biopsy. However, the presence of some specific clinical symptoms--pulmonary hemorrhage, CNS vasculitis, or mononeuritis multiplex--warrants a more aggressive empiric approach. In addition to the steroid pulse, we typically initiate urgent plasma exchange and often consider beginning Cytoxan right off the bat. Beginning in the 2009, Nephrology became one of the final medical subspecialities (along with Endocrinology) to join the Medical Specialties Matching Program (MSMP), a division of the National Residency Matching Program, a.k.a. "The Match." Prior to this, individual nephrology fellowship programs had their own individual application process in which the decision to offer fellowship positions to applicants was highly variable. A recent article in CJASN describes the history of the Nephrology Match and how its adoption has been received by Nephrology Fellowship Program Directors (the article says that it has been received generally favorably). Not every Nephrology Fellowship Program participated in the Match: 14 out of 135 programs ERAS-registered, Match-eligible programs declined to participate, citing "concern over losing local applicants to other programs, concern over waiting until June to lock in applicants, and concern over the number of potential applicant interviews" according to the CJASN paper. A few other interestings statistics: Nephrology had by far the most foreign nationals (49%) successfully matching as first-year fellows than any of the other medical specialties (33% on average). Interestingly, of the 230 applicants who did not match, only 17 were graduates of U.S. medical schools, indicating that there is a real lack of interest by U.S. internal medicine residents to go into nephrology. Nephrology ranked fifth in the total number of applications, behind (in decreasing order of popularity) Cardiology, Heme/Onc, GI, and Pulm/Critical Care. 1. Antiviral Therapy, to get at the root-cause of the problem. 2. Immunosuppression Therapy, to prevent the acute inflammation which is causing clinical symptoms, and often glomerulonephritis. It is often challenging to find the fine balance between these two treatment arms, as too much immmunosuppression will allow the hepatitis C virus to replicate unchecked, while the antiviral therapy may have unfortunate effects in certain renal patients. For instance, the best antiviral therapy available is a combination of pegylated interferon plus ribavirin, which in the majority of patients is associated with a good initial response. However, the use of ribavirin is contraindicated in patients with a GFR less than 50, according to recent KDIGO guidelines, as a result of an increased rate of hemolytic anemia caused by this drug. In addition, patients with a kidney transplant should not be given interferon therapy, as it can lead to acute rejection. 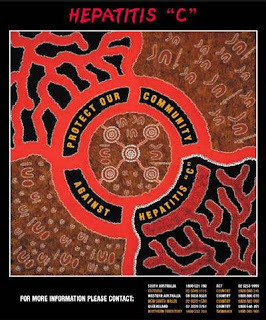 This is why hepatitis C-positive patients who are seeking a kidney transplant should be strongly encouraged to get treatment for their hepatitis C before proceeding with kidney transplant. 1. 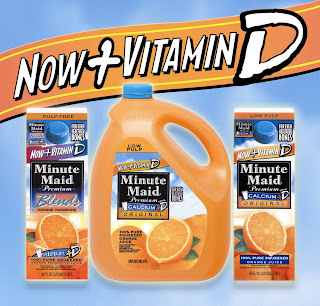 The terms "vitamin D2" and "vitamin D3" do not refer to the hydroxylation status of vitamin D--either D2 or D3 can exist in the (1,25-OH), (25-OH), and unhydroxylated varieties--rather, they refer to whether or not the vitamin D derives from animal (D3, also called cholecalciferol) or plant (D2, also called ergocalciferol). 2. Ergocalciferol (Vit D2) is the least expensive, is the type of vitamin D with which milk is fortified, and can be given in large enough oral doses to correct vitamin D deficiency relatively rapidly (e.g., 50000 units of ergocalciferol po qweek x 12 weeks). 3. Cholecalciferol (Vit D3) is better absorbed orally than Vit D2, but is not available as a high dose form like D2 (e.g., 400-800 units po qd of cholecalciferol). 4. Calcitriol refers to the activated form of vitamin D, which is hydroxylated at both the (1) and (25) positions, and may be either D2 or D3; the medication calcitriol is the D3 form. 5. 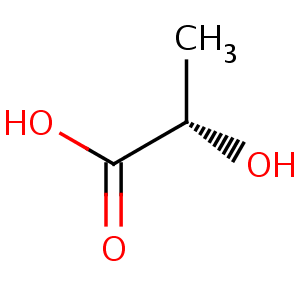 Cholecalciferol (VitD3) is produced in the human skin in response to UV light and is initially unhydroxylated at both the (1) and (25) position. Hydroxylation occurs at the (25) position in the liver (an efficient process which generally occurs even in the setting of advanced liver disease) and occurs at the (1) position in the kidney. 6. Paricalcitol (Zemplar) is a vitamin D2 analogue which is hydroxylated at both (1) and (25) positions. 7. doxercalciferol (Hectorol) is another vitamin D2 analogue which is hydroxylated only at the (1) position. Systemic amyloidosis can involve nearly any organ, and the kidney is often involved. Recall that there are two flavors of amyloidosis: AL amyloidosis (in which the amyloid is formed by light chains as a result of a paraproteinemia) or AA amyloidosis (in which a chronic inflammatory condition, such as rheumatoid arthritis, leads to the excess production of the amyloid-forming acute phase reactant serum amyloid A (SAA) protein. In recent years there have been a few new approaches to treatment of this often deadly disease. One new medication is eprodisate, which functions by interfering with the interaction of amyloidogenic proteins with tissue glycosoaminoglycans. In a randomized, placebo-controlled trial published in a 1997 NEJM article (Dember et al), individuals who received eprodisate exhibited a slower rate of renal decline. This trial was done in patients with AA amyloidosis but the drug may turn out to be useful for AL amyloidosis as well. In addition, there are numerous immunologic therapies directed at AL amyloidosis. Low-dose oral melphalan and dexamethasone is one mainstay; in younger healthier patients it is also possible to perform high-dose melphalan with autologous stem cell transplant, though the benefit of this approach is controversial. 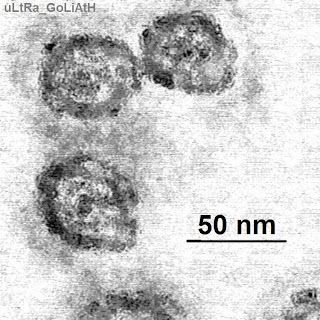 Prior to the discovery of the hepatitis C virus (viral particles shown on the left), there was an entity termed "essential cryoglobulinemia"--that is, cryoglobulinemia without an obvious explanation. While this term is still used, the true "essential cryoglobulinemia" is pretty rare, some cases of "hepatitis C-negative" cryoglobulinemia turned out instead to be positive: the cryoprecipitate can sequester hepatitis C antibody from the serum, so if there is a high suspicion for hepatitis C in a patient with detectable cryoglobulins, it is worthwhile to look for serologic evidence of hepatitis in the cryoprecipitate itself. Interestingly up to 50% of all patients with hepatitis C will show some evidence of circulating cryoglobulins. However, these antibodies only become clinically significant in about 5%. So the presence of renal failure in a patient with hepatitis C and positive cryoglobulins does not absolutely define the renal disease as being cryoglobulin-mediated; a renal biopsy is often needed to clarify the etiology. Although the traditional dogma of kidney transplant would state that ABO incompatibility is an absolute contraindication for a kidney transplant, this is changing: there are some overall favorable reports of graft longevity in Japan, where cadaveric kidneys are in severe short supply. In order to prevent acute rejection, a desensitization protocol involving therapeutic plasma exchange, IVIG, or Rituxan (all of which would be designed to minimize circulating anti-A or anti-B antibodies in the recipient) may be employed. An important exception to ABO incompatibility is the A2 blood group: because the A2 antigen is expressed at lower levels on kidney endothelium than other antigens, A2 kidneys can be successfully transplanted into either B or O recipients without desensitization, provided the cross-match is negative and the anti-A2 titers are relatively low. Natriuresis is the process by which sodium is excreted in the urine; this process is regulated (in part at least) by the natriuretic peptides ANP and BNP (there is also a CNP, which appears to have direct effects on smooth muscle cells. Secreted by many organs (e.g., brain, kidney, and peripheral blood vessels) in response to high blood pressure or hypervolemic states, ANP and BNP peptides bind to a family of receptors (there are three: NPR-A, NPR-B, and NPR-C) where they generally work to decrease lower blood volume and blood pressure. 1. Mice lacking corin develop hypertension as a result of decreased conversion of pro-ANP to active ANP. 2. Human polymorphisms in the corin gene appear to be associated with salt-sensitive hypertension. 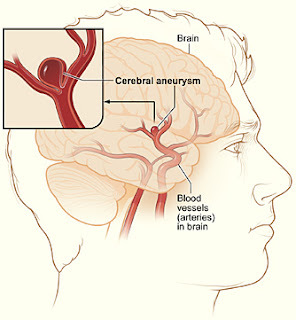 One of the extra-renal manifestations of autosomal dominant polycystic kidney is the presence of cerebral aneurysms. Since often these aneurysms are asymptomatic until they rupture, causing severe neurologic problems as well as possibly being fatal, one might think that all patients with ADPKD should be screened using either MRI or CT scan. However, it appears that one of the strongest risk factors for aneurysms in this population is family history--and in ADPKD patients without a family history of aneurysms, their risk begins to approach that of the general population. Thus, the current recommendations for screening for cerebral aneurysms in patients with ADPKD involve only screening those with a positive family history of aneurysms, or (obviously) if they are having any symptoms of headache or other neurologic problem. Several months back I posted something on hepcidin--the 25 amino acid peptide secreted by the liver which appears to be the "master regulator" of iron metabolism, and whose levels appear to be perhaps increased in ESRD patients, providing a possible explanation for the anemia of chronic kidney disease. Hemojuvelin is a protein which has recently been identified as a critical regulator of hepcidin, and thus also likely an important player in anemia of chronic kidney disease. 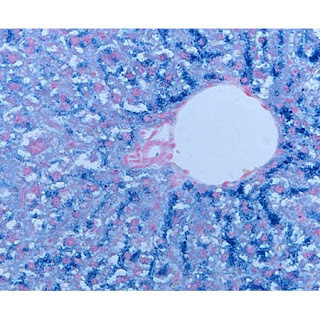 Clues as to hemojuvelin's function comes from children with mutations in this gene, which result in severe juvenile-onset hemochromatosis (as evidenced from the positive Prussian blue staining of a liver biopsy specimen, shown above left). Hemojuvelin turns out to be a co-receptor, acting at the plasma membrane, for the BMP signaling pathway, which is necessary for the secretion of hepcidin from hepatocytes. As elevated hepcidin levels are associated with anemia of chronic disease and decreased access to reticuloendothelial stores, it stands to reason that inhibitors of the BMP pathway--either small molecule BMP inhibitors such as this, or a soluble form of hemojuvelin such as this--might be successfully used to decrease hepcidin expression and therefore treat anemia of chronic kidney disease. ALSO: Be the coolest kid on the block to know the Top 10 Nephrology Stories of 2008 according to the Precious Bodily Fluids nephrology blog! Is it a good idea to screen the pediatric population at-large for hematuria and proteinuria? This is a controversial topic, as generally speaking isolated hematuria or isolated proteinuria are almost always benign findings in pediatric populations, and overly-aggressive work-up (e.g., renal biopsy) in all individuals with these abnormalities would likely result in measurable morbidity. In favor of routine screening are some studies from Asian populations where urinalysis screening has been more routinely adopted--specifically, this study from Korea and this study from Taiwan--which demonstrate that the rate of pediatric ESRD dropped from 19 per million to 8 per million following these interventions, much of which could be explained by a drop in glomerulonephritis-induced kidney injury. 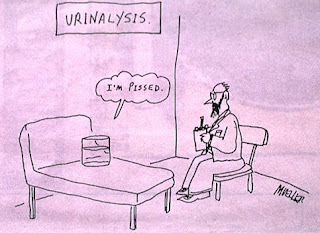 In the United States, the American Academy of Pediatrics currently recommends that urinalysis be performed only when there is a specific complaint. Calciphylaxis is a rare but severe dermatologic condition affecting end-stage renal disease individuals for reasons which remain obscure. Histologic biopsy is the gold-standard for making the diagnosis; it typically demonstrates calcification within the media of small and medium-sized arterioles with intimal hyperplasia and fibrosis, leading to its other name, calcific uremic arteriolopathy. 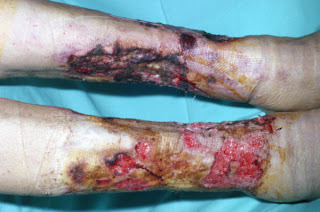 Treatment strategies for calciphylaxis remain a challenge for this condition, and for the most part involves supportive care with antibiotics as necessary, pain control, and judicious management of serum calcium and phosphorus levels. One relatively recent potential therapy is sodium thiosulfate. Although its use is still considered "off-label", there have been some encouraging case reports and also animal studies to support its beneficial effect on pathologic calcification. For those who wish to try sodium thiosulphate infusions, iv doses generally vary from 5-25 grams after or during dialysis over 30-60 minutes. Although generally well-tolerated, GI effects as well as an anion gap metabolic acidosis (due to the thiosulphate moiety) have been reported as side effects. The World Health Organization (WHO) of lupus nephritis has provided a useful and simple framework for understanding this complex disease. In 2003, a committe of the International Society of Nephrology (ISN) & Renal Pathologic Society (RPS) instituted some subtle but important changes to the existing criteria, which rely predominantly on histopathologic inspection of renal biopsy. One of the main additions to this classification scheme was the subdivision into WHO Class IV into SEGMENTAL (Class IV-S) and GLOBAL (Class IV-G), based on whether there is less than 50% capillary tuft involvement (IV-S) versus more than 50% capillary tuft involvement (IV-G). Several researchers had found that there was a slightly improved prognosis in the IV-G group compared to the IV-S group which might justify such a division; however, this difference has not been reproducibly demonstrated in follow-up studies. Thus, whether or not there really are distinct subpopulations of IV-G and IV-S individuals with different prognoses remains controversial. Continuing on with a brief discussion of the landmark MDRD Study: at the time of the study, several smaller studies suggested that a low protein diet would prolong time to ESRD for patients with CKD. The theory was that low dietary protein would lead to (a) less buildup of nitrogenous wastes which might contribute to uremia, (b) improved acidosis normally associated with advanced CKD, and (c) less proteinuria and thus less ongoing renal damage. The MDRD Study took several hundred patients with moderate CKD (GFR = 25-55 cc/min) and advanced CKD (GFR = 13-24 cc/min) and subjected them to a 2x2 prospective randomized control design. They tested the effect of both usual-protein versus a low-protein diet (defined as 0.58 g of protein per kg of body weight per day) as well as having both high BP target and low BP target groups. The average follow-up time in this study was just over 2 years. For the most part, there were no major differences in any of the groups in terms of rate of progression to ESRD. Effects of the low-protein diet were seen, however: in the moderate CKD group, those randomized to the low protein diet actually showed a transiently DECREASED GFR over the first 4 months of the study, only to demonstrate a slower rate of decline at later time points. The authors described this graph by stating that the initial decrease in GFR is due to hemodynamic effects which over the long run actually have beneficial effects (kind of like ACE-inhibitors' effect on the kidneys). So although the results of the trial were essentially negative for any effect of a low-protein diet on slowing CKD progression, there are many who believe that had the patients been followed out for an even longer period of time, the benefit would ultimately manifest. 1. 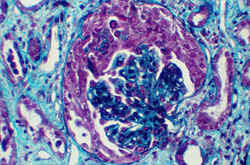 It established what is currently the gold-standard formula for calculating estimated glomerular filtration rate (GFR). 2. It suggested that strict adherence to a low-protein diet did not significantly diminish the rate of renal decline in patients with advanced chronic kidney disease (CKD), which up until that time had been a major therapeutic intervention offered by many nephrologists. Looking more closely at (1), the MDRD formula to estimate GFR: while this formula has been widely criticized, it is also the most widely used, and has significant advantages over the much simpler Cockcroft-Gault Equation. There are actually variations of the MDRD formula which yield slightly different results; the most widely-used one is the "4-variable MDRD" which takes into account serum creatinine, age, gender, and race. A "6-variable MDRD" is also used which adds in serum BUN and serum albumin. Two major issues with the MDRD formula: first, it has been validated in CKD, but not in acute kidney injury--so even though your hospital's in-patient computer system may spit back a GFR based on the MDRD Equation, the value may be totally meaningless. Second, the MDRD seriously underestimates GFR in healthy patients with GFR > 60mL/min. Diabetic nephropathy characterizes a huge chunk of any nephrologist's practice. Some of the issues to tackle with each visit are obvious--e.g., adequate glucose control, minimization of proteinuria, control of blood pressure--and generally much easier to talk about than to actually achieve. A Danish group in 1999 published in the Lancet the Steno Trial in which outpatients with diabetic nephropathy and microalbuminuria were randomized to "standard therapy" versus an "intensive, multifactorial therapy" during which patients received more individualized attention to both medical and behavioral aspects of care. The "intensive, multifactorial" group showed a slower progression of diabetic nephropathy (as well as other diabetic complications). 3. total cholesterol < 175 mg/dL. 4. triglycerides < 150 mg/dL. 5. all patients on an ACE-inhibitor or an ARB, irrespective of blood pressure. 6. aspirin irrespective of cardiovascular disease history. Although targeting weight loss was not part of their interventional strategy, there are many who believe that reducing BMI would also help reduce progression of diabetic nephropathy.